Click here for neighborhood video. The Meadows is all about golf. 3 different courses offer golfers the perfect challenge whether it be The Meadows with different tee boxes ranging from 5200 to 6700 yards. The Meadows is by far one of the best championship courses in Sarasota. The Highlands also has varying tee boxes and has old-Florida charm with oak tree lined fairways and elevation changes. The Groves is an enjoyable walking course but also a challenging course designed by Arthur Hills. Golf Carts are equipped with GPS Electronic Caddy to show you the exact hazards and yardage and distances coming up at the next shot. One of the best things about the Meadows Golf and Country Club is that there are different memberships to fit your budget and your lifestyle. A summer family membership is offered currently that includes unlimited tennis, fitness center, and pool as well as dining privileges in 3 restaurants. Oh, and then there is tennis. 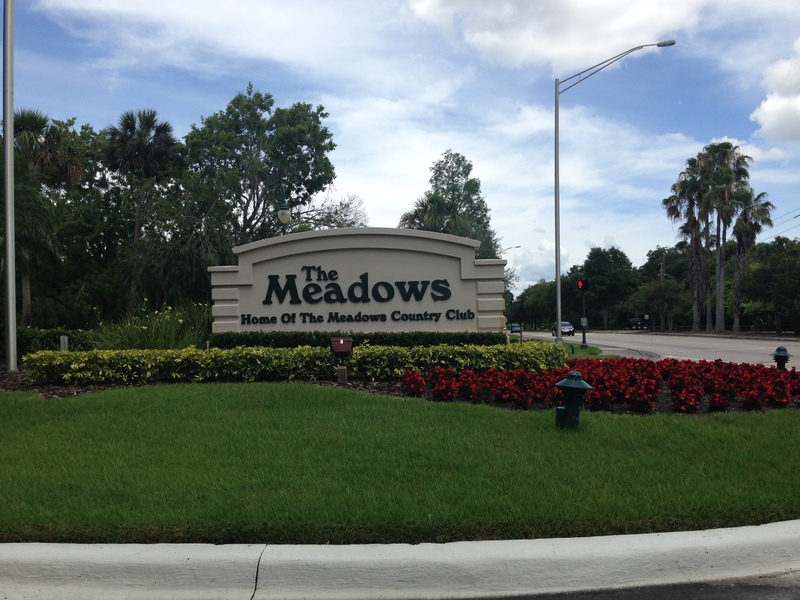 The Meadows Golf and Country Club has 17 Har-Tru courts and has been voted in the top 20 USA facilities having been the home of the 2012 USPTA Fl club pro of the year. A social life centered around elegant or casual dining in one of the 3 restaurants and events planned within the community round out a planned Florida life style that is hard to beat. Home ownership in any of the many neighborhoods can fit your needs whether it be a single family home or a maintenance free villa or condo. There is something for everyone. Families will grow up in a safe and friendly environment and retirees can depend on a relaxing and quiet atmosphere. A part-time resident can feel comfortable leaving their home for the summer in a maintenance-free neighborhood. The professional can feel confident that the prestige of a beautiful executive style home will suit the needs for an impressive entertainment experience for clients and friends. A growing family can feel safe and secure in a kid friendly neighborhood that provides summer programs and an active lifestyle.